Best Lisbon Blogs 2019 - As Selected by Locals! 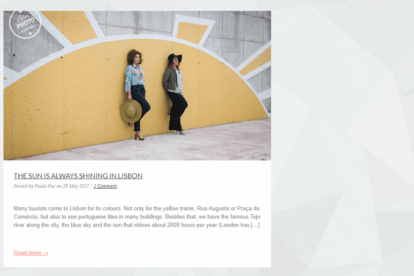 Best Lisbon Blogs 2019 – As Selected by Locals! We asked our own Lisbon bloggers about their favorite independent Lisbon blogs & websites. Here’s a list of their tips in alphabetical order! 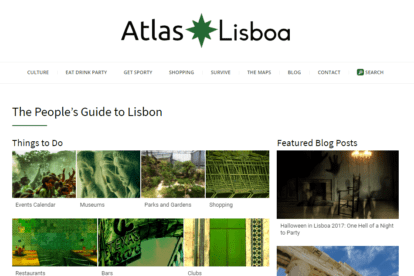 If you’re on the lookout for a Lisbon based blog that contains a little bit of everything to check out while in the city, you should probably have a peek at Atlas Lisboa. Known as ‘the people’s guide to Lisbon’, this blog is run by locals in order to provide readers with fun tips and interesting tidbits about what to check out, expect, or experience while in the city. There are informative reviews of different bars, restaurants, cafes, and shops, while also providing information on events, culture, and lifestyle in the city! Finding a place to stay at and fun activities to plan while you’re in the city is highly important. So we suggest taking a look at the Go Lisbon Blog! This is an independent locally run blog that provides readers with excellent information on places to stay at, things to see or experience, and interesting bars, cafes, and restaurants to check out while visiting! 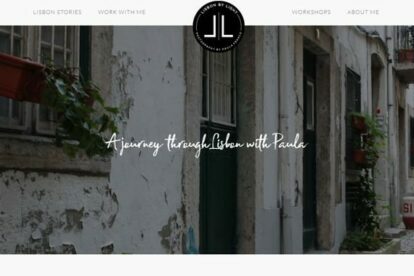 Lisbon by Light is a blog created by Paula, it features stories of local entrepreneurs. Specifically old traditional brands and stores, the locals who are the building blocks. But also the new generation, who are innovating and investing in Lisbon. Every week she posts a new story of one of these inspiring locals. Very interesting and the blog is visually very appealing. 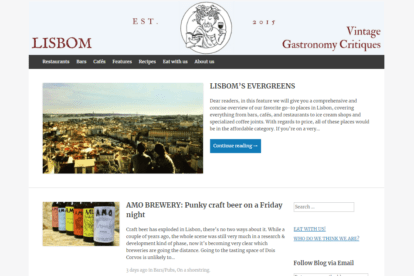 If gastronomy is your thing to check out and investigate while traveling, then Lisbom is a blog you should check out if you’re visiting Lisbon. The blog is run by locals and offers readers an experience that they are unlikely to forget! The content is regularly updated and focuses mainly on providing tips about food culture and eating out, giving people an inside perspective on local breweries, traditional restaurants. The blog even provides recipes for you to try out at home for a taste of Lisbon in your own kitchen! Are you looking for a blog that doesn’t create lengthy articles, but provides you with a unique and personal experience by looking through the camera lens of a local? Then the Lisbon Photo Memories blog is something you should definitely check out! This blog follows the life of Paula Paz while she spends her days wandering the streets of Lisbon. The content is regularly updated and provides fun, short posts about living in this city. But also about the culture, fashion, and customs of the city! Did we miss your favorite blog about Lisbon? 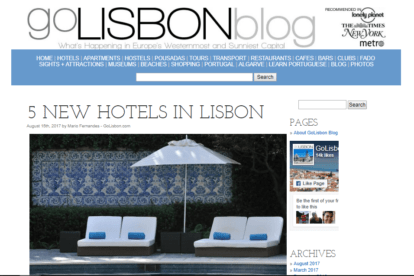 Please let us know at lisbon@spottedbylocals.com!